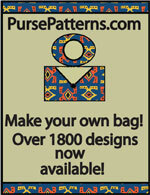 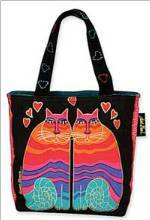 Claire Handbag Pattern - Retail $10.00 [LGD125] : Wholesale Purse Patterns, Purse Patterns at wholesale prices for quilting shops, craft stores, and fabric shops. 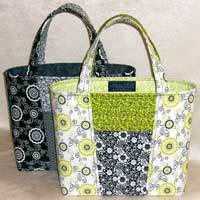 The Claire Handbag Pattern is a sophisticated bag that can be used as a purse, tote, or project bag. 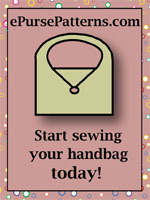 There are instructions for lots of pockets and the finished size is 10 1/4" x 9 1/4" x 4". 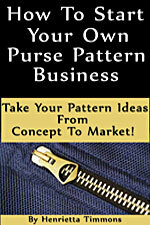 Bag-E-Bottom F is available for this pattern which, when placed in the bottom, gives a more finished look to your bag!